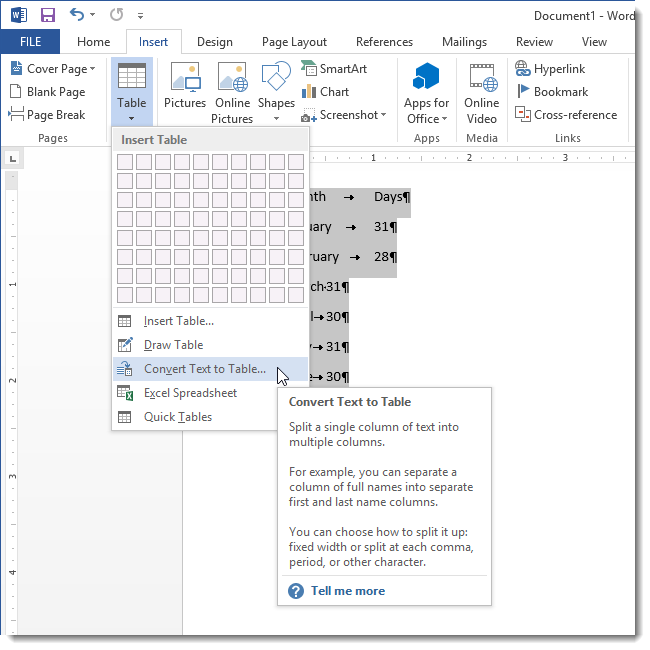 I'm working with templates/Visual Basic/merging functionalities in Word, and have created rows in various Word merge documents that are to be merged into a full table depending on what users select in the Visual Basic wizard/GUI. Removing a line inside a table cell I created a table with several split cells and sent it out for people to fill in and complete the data. Someone has put a line inside one of the unsplit cells and several of the split cells that I can't figure out how to remove. Click a row or cell in the table, and then click the Layout tab (this is the tab next to the Table Design tab on the ribbon). Click Delete , and then click the option your need in the menu. Note: The option to delete the table on the Delete menu is only in Word.